Vagabond was created by Takehiko Inoue, author of the best-selling manga Slam Dunk, with over 100 million copies in print worldwide. 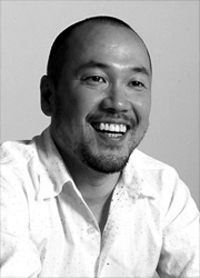 Critically acclaimed, Inoue received the 2000 Media Arts Award for manga from the Japanese Ministry of Culture as well as the 2000 Kodansha Award for best manga for his work on Vagabond. In 2002, Vagabond received the prestigious Tezuka Award for best manga, and in 2003, Inoue was nominated for a 2003 Eisner award for best writer/artist. While Vagabond continues its epic run in Japan, Inoue is simultaneously pushing the bounds of manga narrative with Real—a heavy-hitting manga about wheelchair basketball. To date Vagabond has sold over 40 million copies throughout the world. In addition to his numerous manga titles, Inoue also created the character designs for the PlayStation basketball game, One on One. Takehiko Inoue’s Vagabond, based on Eiji Yoshikawa’s novel Musashi, is a fictional account of the life of Miyamoto Musashi (1584-1645). The historical figure Miyamoto Musashi, author of the philosophical strategy guide A Book of Five Rings, was a master of the sword and was revered as a “sword-saint.” He founded the Ninten Ichi style of sword fighting, which is typified by fighting with both long and short swords simultaneously—holding the long sword with the right hand and the short sword with the left. Musashi was also a master of the “gentler arts”—he was a master sumi-e (black in drawings), metalworking, and woodcarving. The films that comprise The Samurai Trilogy, directed by Hiroshi Inagaki and starring Toshiro Mifune, were also based on Yoshikawa’s Musashi. Inspired by the huge success of Vagabond in Japan, in 2003 NHK produced the historical period drama Musashi. Also based on Yoshikawa’s novel, this drama stars kabuki actor Shinnosuke Ichikawa as Musashi and TV star Ryoko Yonekura as Otsu. Vagabond has been printed to read from right to left in its original Japanese format—presenting Takehiko Inoue’s dynamic artwork the way it was meant to be seen! When most Japanese comics are published in English, a mirror image of the original artwork is printed in order to accommodate the left to right reading orientation of English. For this reason, errors in continuity occasionally occur and characters who were originally right-handed suddenly become left-handed. In order to present manga in its purist form, Vagabond is being printed to read from right to left. This way, kimono are worn with the left side over the right and the samurai’s long and short swords are carried on the left side, the way they were traditionally worn. To properly enjoy Vagabond, start from the other end of this comic and read from right to left. The names presented in the context of this manga are presented in the traditional Japanese order—surname followed by first name. “Miyamoto” is Miyamoto Musashi’s last name and “Musashi” is his first name. The name of the creator of Vagabond, however, has been presented first name first, last name second. “Takehiko” is the author’s first name and “Inoue” is his last name. The Sengoku (warring states) period (1482-1558) in Japan was a time of chaos and conflict. Central authorities, in the form of the imperial court and the shogunate, had grown increasingly weak and land was effectively rules autonomously by numerous daimyo (domainal lords). Looking to expand their spheres of control, the daimyo were constantly at war with each other. One daimyo in particular, Oda Nobunaga, set out on a mission to unify Japan by means of conquest. Incredibly successful, by the time of his assassination in 1582, he managed to control approximately one-third of Japan. One of Nobunaga’s chief generals, Toyotomi Hideyoshi, became Nobunaga’s successor to carry on the quest for unification. Through a process of conquest and conciliation, Hideyoshi succeeded in creating an orderly federation amongst the daimyo, and by 1590, order was restored to Japan under Hideyoshi’s rule. Hideyoshi’s death in 1598, however, presented the question of succession. Most of the daimyo from the domains in the west remained loyal to the Toyotomi Clan and its 5-year-old heir, Toyotomi Hideyori. Tokugawa Ieyasu, however, leading the major daimyo from central and eastern Japan, challenged the Toyatomi clan’s leadership. The two sides clashed at the Battle of Sekigahara (1600) in Mino (located in present day Gifu Prefecture) where the Tokugawa claimed an overwhelming victory. From that point on, the Tokugawa clan would effectively rule Japan for the next 250 years. The political stability that resulted put mass numbers of samurai out of work. Masterless samurai, known as ronin, were forced to wander the land and seek out employment. This, the beginning of the Edo period (1600-1868), set the stage for many of the period dramas and chambara sword-fighting films that have popularized the image of the samurai to a Western audience. Located in the northern part of present-day Fukui Prefecture. Name of the era from 1558 to 1569. Located in modern day Kumamoto Prefecture. Famed artist and calligrapher who co-founded an influential arts movement called the Rinpa School. Koetsu was involved in numerous fields including tea ceremony, potter, and calligraphy. In addition, Koetsu succeeded the line of his family’s ancestral business of sword polishing and appraisals. Created by the Buddhist monk Kakuzenbo Hoin In’ei (1521-1607) of Hozoin Temple, which was a sub-temple of Kokufuji Temple in Nara. This spear technique is typified by quick dexterous movements rather than the use of brute force. One of the great daimyo of the Sengoku period (1482-1558), Ikeda Terumasa sided with Ieyasu at the Battle of Sekigahara after which he was awarded with Himeji Castle and the Harima domain (located in modern day Hyogo Prefecture). Founder of the Itto-ryu school, one of the largest schools of sword fighting. Before establishing his own style, Ittosai is said to have studied a variant of the Chujo-ryo style of sword fighting under Kanemaki Jisai’s instruction. Located in present day Ishikawa Prefecture. The son of Kami-izumi Ise no Kami Hidetsugu, the lord of Kami’izumi Castle in present-day Gunma Prefecture. Hidetsuna founded the Shinkage-ryu Style of sword fighting, and was such and accomplished swordsman and military strategist that he was once recruited by the famed Takeda Shingen. Hidetsuna, however, declined the post, stating that he preferred to travel throughout the land so that he might perfect his swordsmanship. Many notable figures studied under Hidetsuna, including the esteemed Yagyu Munenori of and Hozoin In’ei. Swords created by swordsmiths specifically authorized by Emperor Gotoba in the early 13th century. The tangs of these exceptional quality swords were inscribed with the imperial city chrysanthemum crest together with the characters for the numeral one. Ruler of Ise, which is located in the Mie Prefecture. Tomonori is also said to have been a master of the Kashima Shinto Ryu. Approximately 5.1 U.S. bushels or 180.39 liters. Samurai were paid their stipends in bushels of rice. One koku was a standard measure representing the approximate amount of rice necessary to feed one man for a year. Located in the northeastern part of Kyoto, Konpukuji Temple is small temple of the Rinzai School of Zen Buddhism. An administrative appointment which served to govern the populace of Kyoto and to keep a watch on the daimyo in the west. Founder of the Shinto Muso-ryu school of martial arts, which mainly utilized the wooden staff. Gonnosuke is said to have been one of the many to lose to Musashi in a duel. According to some accounts he defeated Musashi in a rematch. Located in modern day Nagoya and its surrounding area. Located in Eastern Kyoto, Rengeoin Temple, a part of the Tendai School of Buddhism, is more commonly referred to as Sanjusangendo. The main hall of Rengeoin features an amazing display of 1,001 Kannon Buddhist statues. Also known as Mimasaka. The historical name for the area that is now the northern region of modern-day Okayama Prefecture. One of the main subtemples of Daitokuji Temple in Kyoto. The legendary archrival of Miyamoto Musashi, Kojiro is believed to have studied the Chujo-ryu style of swordsmanship under the instruction of either Toda Seigen or Kanemaki Jisai. Kojiro was renowned for his Tsubame-gaeshi, or “swallow cut” technique which was inspired by the movement of a swallow in flight. A zen term used to describe a disciple and his master in perfect sync when the time is right for the disciple to awaken to enlightenment. A monk of the Rinzai sect of Zen Buddhism, by the time Takuan was 37, he was appointed abbot of the leading temple of the Rinzai sect, Daitokuji. Takuan was an important figure whose acute and brutally honest advice was sought by influential and powerful figures such as Emperor Go Mizuno and the shogun Tokugawa Iemitsu. His correspondence to Yagyu Munenori discussing Zen and swordsmanship entitled The Unfettered Mind has become an influential treatise in both the areas of philosophy and martial arts. The pickled daikon radish, takuan, also bears his name. Founder of the Kashima Shinto Ryu style of sword fighting. Bokuden was from the city of Kashima in modern day Ibarki Prefecture and is famous for his sword training pilgrimages, which took him on travels throughout Japan. Daimyo of Bizen and Mimasaka (located in modern day Okayama Prefecture). One of the leading generals that fought for the Toyotomi Clan at the Batlle of Sekigahara. Yagyu Muneyoshi Sekishusai (1527-1606) was the founder of the Yagyu-Shinkage school of sword fighting. His son Yagyu Munenori (1571-1646) was one of Tokugawa’s key generals at the Battle of Sekigahara. Munenori was appointed the official fencing instructor of the Tokugawa Clan, and in 1632 the Yagyu were appointed the ometsuke—responsible for the survielence of the daimyo. Although the Yagyu can has been depicted in Kazuo Koike’s Lone Wolf and Cub as the plotters of the downfall of Itto Ogami, the general Japanese popular culture take on the Yagyu Clan is more positive. Specifically, Munenori’s son, Yagyu Jubei (1607-1650), is viewed as a wandering hero protecting the people from evildoers. Yoshioka Kempo (dates unknown) was a distinguished warrior from the Sengoku period (1482-1558) and founder of the renowned Yoshioka school of sword fighting. Yoshioka Kempo mastered the Kyohachi style of swordsmanship and then modified it to form the Yoshioka style. In the context of Inoue’s Vagabond, as well as Yoshikawa’s Musashi, Yoshioka Seijuro and Denshichiro are Kempo’s sons, who are historically thought to have dueled with Miyamoto Musashi on numerous occasions. "This beautifully drawn series has incredible action, a hint of romance, and a strong core of Japanese history…this book now has the possibility of taking off like a rocket with the American audience." "I was entranced within pages of reading Vagabond; Inoue’s adaptation of Yoshikawa’s Musashi pulls you right into the story and doesn’t let you go." "Inoue’s artwork is flat-out gorgeous, whether it’s in the brief color sections or in black and white. There is a stunning amount of detail in the backgrounds and in the character designs, and it’s clear that there has been a lot of research into the costumes, weapons, and settings of the era." "It is a masterwork of story and art. In no time are you drawn into the characters, first by the skillful art and then by the story. I found Takehiko’s art most appealing and his storytelling ability superb." "If you’re interested in Japanese culture, this is a must-buy for you. The story is fast-paced; the artwork is a feast for the eyes…This is one of the best works of historical fiction I’ve ever read...."
"...this reads like an Akira Kurosawa film captured on the printed page. Takehiko Inoue’s fine line art, much more detailed for the norm for Japanese manga, is a real treat, while the storyline captivates." "Takehiko Inoue’s vibrant postmodern spin on the (samurai) genre is topnotch in every respect." "What makes Vagabond stand out, and makes this something more than just a retelling of Musashi’s life is Inoue’s feel for the characters, breathing life into figures who lived in a world so long ago and so far away." "Inoue masterfully portrays the brutality of Vagabond’s setting and the interactions of the characters…Inoue can surprise and even shock the reader with the turns his story and their lives can take. Combined with the often breathtaking art, this makes for an extremely satisfying comics experience." "I think this manga has something for everyone. A MUST READ!" "An excellent manga, presented with noticeable care… If you’re a fan of Japanese history, you need this in your library. It’s that good." "…Inoue’s skills as a comics creator makes Vagabond outstanding. This is really one of the best comics currently being produced. I buy every book as soon as it’s published and once you take a look yourself, you’ll do the same." "Some of the most beautiful pen-and-ink work in any comic being published now." "Viz is giving readers a lot of bang for their comic buck with this one." "More than just flesh-splitting battle scenes and mandala-like sequences of spiritual introspection, Vagabond seems to contain the entire world and span the entire human condition." © 1998-2009 I.T. Planning, Inc. I added a little explanation at the top and numbered the sections to make it more coherent. Let me know what you think. Well I think it looks great and very organized. Nice! The glossary especially is an interesting read. Yeah, I've actually considered making the Glossary part stand alone and calling it just that while moving the other information to the volumes section.